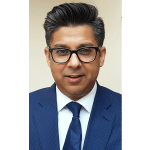 Gurpreet has been a Partner in Harbans Singh & Co Solicitors since 2000, practising in Commercial/Residential Property Law and Immigration Law. He is Senior Responsible Officer (Lexcel) within the firm. He is currently expanding an International arm to the business in India, for clients seeking investment in the UK. He works closely with the Indian Consulate to promote business and social connections between India and the West Midlands for the benefit of the region. Passionate about Community Work, Gurpreet is an Executive Member of the Sant Nirankari Mission, a registered charity which works closely with the National Blood Service to promote blood donation initiatives. He has implemented initiatives to improve the environment including street cleaning and tree planting. As a Fellow of the RSA Gurpreet has organised numerous community engagement programmes with RSA Tipton Academy, encouraging community cohesion and understanding through the arts and volunteering. He also supports a Sandwell-based community radio station encouraging multi-lingual presenters to reach wider audiences.